It seems that not a day goes by, for those reading about energy efficiency and renewable technology, without the announcement of a revolutionary high-tech approach to the challenge of reducing energy loads in towns and cities in an attempt to mitigate the related effects of global warming. Many of these potential advancements will indeed someday prove viable and be implemented worldwide, but there are a number of near-term low-tech alternatives which can be adopted today, with nothing more than some political will and community education. One such approach involves applying white paint or other related materials, upon dark roof surfaces on commercial, public, and residential buildings. When this is done, more sunlight is reflected away from a structure, solar gain is dramatically reduced, and the amount of energy required for cooling is decreased, as less heat is transferred through the roof into the interior of the structure. Considering the “heat island effect”, the tendency for urban areas to retain much more heat than surrounding areas due to the presence of vast numbers of black roof surfaces and asphalt lots, coupled with a lack of heat-dispersing vegetation, these benefits become significant over time. And as a whole, they contribute to the much needed reduction in CO2 emissions that climate leaders have been calling for. Making this approach particularly noteworthy is the fact that it has been studied and promoted for over 30 years by a number of California energy science and policy luminaries, not the least of whom is Secretary of Energy Steven Chu. Since the 1980s, scientists at Berkeley, CA-based Lawrence Berkeley National Laboratory (LBNL) have been studying ways to enhance the energy efficiency of buildings and decrease the energy required to maintain them, with a particular focus on cooling, heating, lighting, and water use. In regard to cool roofing, Surabi Menon and Hashem Akbari of LBNL, and California Energy Commissioner Arthur Rosenfeld (formerly of LBNL), have studied the potential of a building surface’s “emissivity”, the amount of absorbed heat it is able to release, and how highly emissive materials can cause a significant decrease in the heat island effect when implemented on a large scale. According to their estimates, adapting white roofs and paved surfaces in urban areas throughout the world, could reduce CO2 emissions by nearly 25 billion tons. To put that in some perspective, that is the equivalent of removing over 300 million cars and trucks from the road for 20 years. Considering the probability that over 75 % of the world’s population will live in cities within about 30 years, it is essential that accessible solutions to the heat island effect like this one, be put into place without delay. 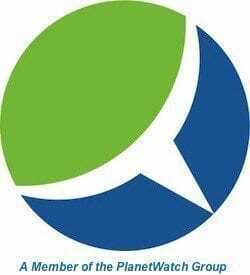 The non-profit Cool Roof Rating Council (CRRC) was founded in 1998, to establish and maintain industry standards for cool roof related products, including shingle, tile, metal sheeting, and paint. CRRC also disseminates all relevant information to architects, contractors, government agencies, and others involved in roofing projects. 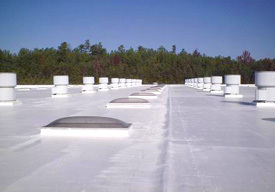 Since 2005 the State of California has required that cool roofs be included in all commercial building projects under Title 24 Building Energy Efficiency Standards, and will soon require all residential, sloped or visible roofs be covered in “cool color” paints and other highly emissive materials. New York City Mayor Michael Bloomberg, has even fostered cool roof development as part of his ambitious PlaNYC 2030. In fact, there are a number of cool roof projects that may be launched throughout the city later this summer.